The historically accurate roman political simulator. Do you want to be an ambitious young roman? You will serve in the legions with distinction, then start your political career by taking loans and making promises. Rise through the offices of the cursus honorum, starting as a Tribune or Quaestor and making it all the way up to Praetor and Consul. Or perhaps you will be murdered long before that, leaving your son to avenge you. Tired of just painting maps in Grand Strategy games? Do you want more History, less Geography? The Timeline is for you! Events will be displayed in a timeline instead of firing up randomly. All characters will be able to interact with these events, either for or against them. This system makes interactions between characters more dynamic than ever. Immerse yourself in History. Live the past and learn more about your favorite historical period. Hundreds of AI characters will be interacting with each other, creating a complex simulation. Interactions between characters will create emergent narratives and meaninful stories through mechanics. We love the character-driven simulation of CK2. We love the traits and family tree of R:TW. We love the realism and depth of this mod for R:TW. HOW IS THIS DIFFERENT FROM IMPERATOR: ROME? I started Historia Realis a few months before Paradox announced Imperator: Rome. 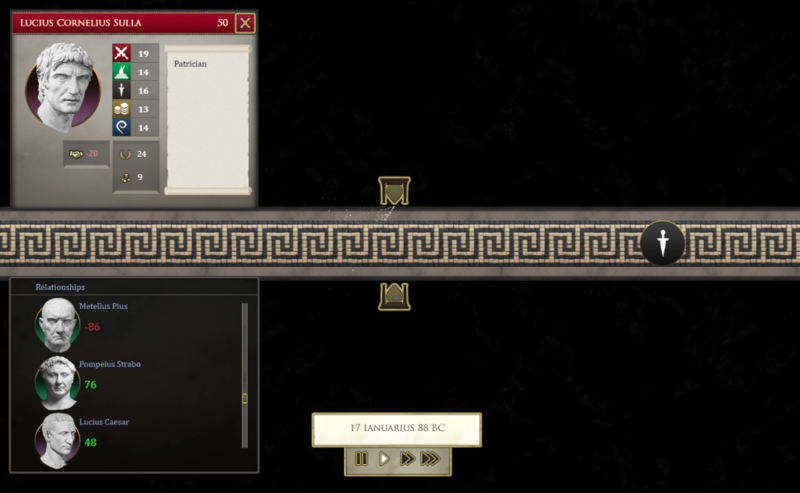 I thought about giving up, but it turned out that my vision for a historical game in Rome was very different from Paradox's and a lot of people had interest in it. Even Johan, the director of Imperator, said that I shouldn't give up on my game. Below you can find a comparison of the main differences between my game and Paradox's. You play as a nation like EU4. You play as a character and his dynasty like in CK2. 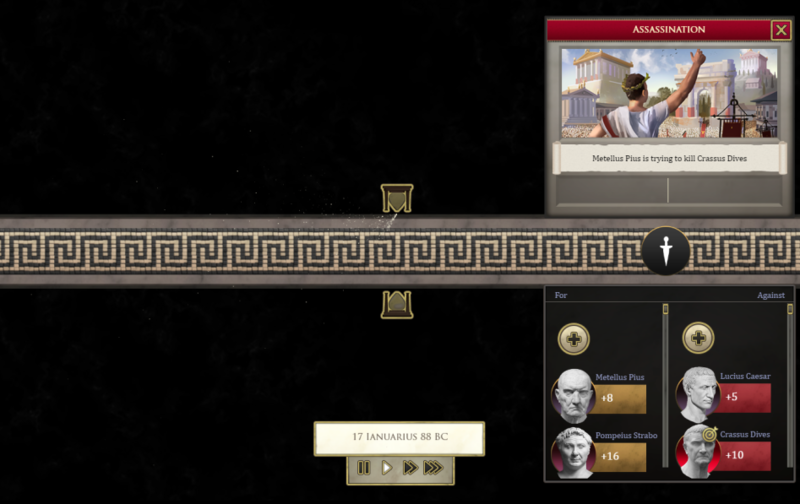 Only Roman characters are playable, allowing the game to focus on roman systems instead of one-size-fits-all systems. Wars, conquest and expansion are the focus. Politics, internal struggle and power disputes inside Rome are the focus. You interact with the map, trying to paint provinces your color. Characters are mostly passive. You interact with a timeline of events, with all characters trying to get what they want by creating and joining events. Ahistorical 5 factions: Religious, Military, Mercantile, Civic, Populist. Historical patronage system of political organization: the clientela. 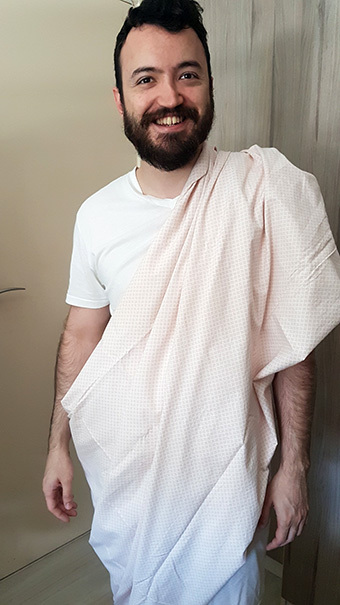 I'm an award-winning indie game developer from Brazil. I started making games as a hobby in 2012, while getting my master's degree in History. I was a History teacher for 3 years and made games in my spare time. I released 2 games on Steam: Painters Guild and Roguemance. I love History and games. I do art, code, design, music, marketing and pretty much everything in my games. My favorite historical period is Republican Rome, so Historia Realis: Roma is a very dear project to me. Thanks for your interest in my game! You can follow me on Twitter. When will this game be released? When will the alpha be ready? I'm not sure, and I don't want to announce a date before I'm more certain. Can I play as a Carthaginian? A gaul? A greek? No. We are focusing 100% on creating the best Roman experience. So could I play as the Gens Claudii and follow them through for 300 years? What period do you intend on setting this game in? Between 300 BC and 14 AD. Basically Republican Rome. Will the game have Linux support? Is there any way I can donate or help support this project? Yes! A lot of people were asking this, so we made a Patreon page where you get cool benefits in return for your donations. Yes. I'll do my best to bring the principles of Historia Realis into Imperator.